Following instructions in WoodenBoat Nos. 216 and 217, Karl Steidl built this 110-class pond yacht from mahogany strips 1/8″ thick by 1/2″ long. He glued these to aspen frames. The hull is 48″ long, the mast is 46″ tall. 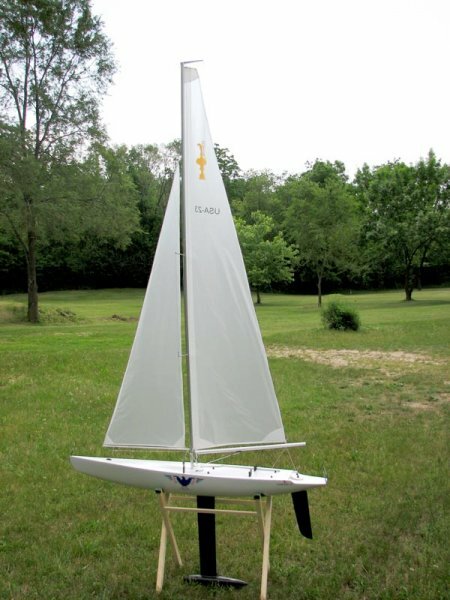 Karl was also busy building this USA-12 pond yacht. He got the plans for this model at www.nonsolovele.com. This hull is built with frames of 1/8″ birch plywood, 1/8″ balsa planking, with a deck of 1/16″ plywood. This hull is also 48″ long, and this mast is 70″ tall. 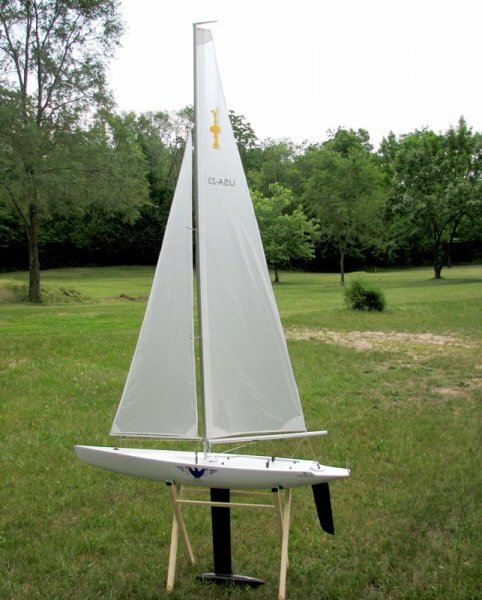 Karl writes that both models sail regularly on the Rock River in Beloit, Wisconsin.